Okay, so I know that in the past pregnant women were discouraged to do any physical activity while pregnant. It was a big no no to even think about working out while pregnant. Basically, doctors discouraged women from any strenuous activities and scared them into believing that working out led to miscarriages and/or early labor. Well ladies and gentlemen....the times have changed. Unfortunately though, people still believe a pregnant woman shouldn't work out/run during pregnancy. So when people see me out and about running through beautiful San Diego, I get weird looks. Even family members (i.e. my parents) think I am hurting my baby. 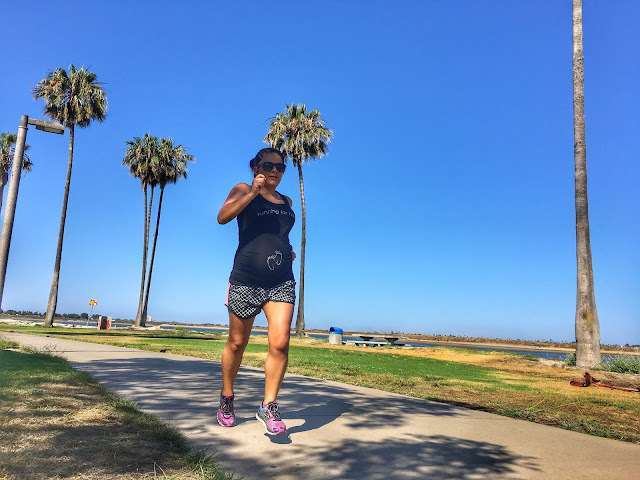 Well I have news for all you skeptics, exercise during pregnancy is not only okay for the baby it can also help during pregnancy and post partum recovery. 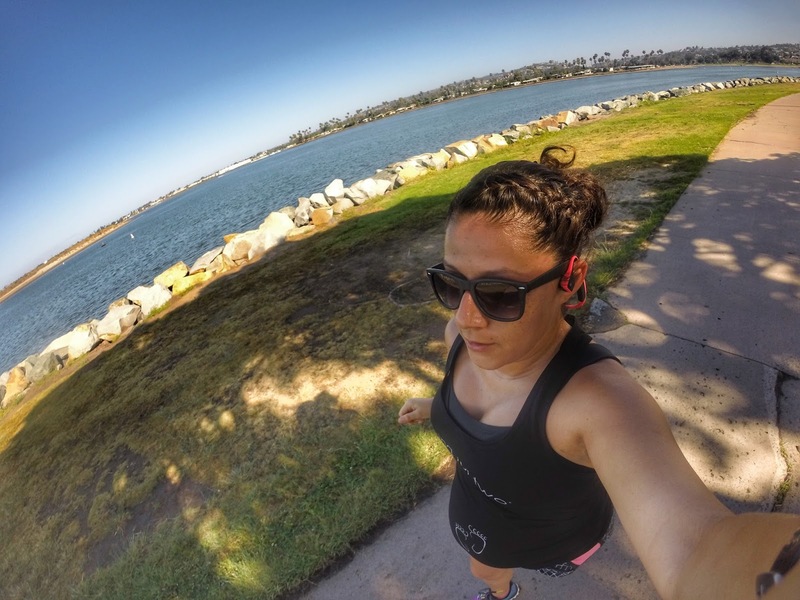 I am 32 weeks pregnant (almost 33 weeks) and I am still running, swimming, taking spin classes, doing yoga, and even doing some light weight training. Yes, I consulted my doctor the second I found out I was pregnant to get the green light. Most often than not, your medical provider will tell you to remain active as long as you are comfortable. The rule of thumb is if you were active prior to pregnancy, then it is usually safe to remain active during pregnancy. However, this is not the time to start trying to workout to loose weight or to train for a marathon. Of course each pregnancy is different so it is important to consult with your doctor about exercising while pregnant. To me, that's just common knowledge but just wanted to reiterate that little information. For example if you have a low lying placenta, noticeable bleeding/spotting, or are at high risk for preterm labor your doctor may suggest to not exercise. That's why it is always recommend to consult with your doctor. For my pregnancy, everything has been going to plan. I've had absolutely no complications and have felt (for the most part) pretty freaking amazing. I know this sounds like a soap box but I am kind of getting tired of people telling me I am harming my baby because I still exercise. I have news for those people...I AM NOT! I listen to my body and stop when I feel I need to stop. I keep a close eye on my heart rate and try not to get it too elevated. I stay cool and keep myself as hydrated as I can. I avoid exercises that are not safe for a pregnant woman. And most important of all, at every doctor's appointment my baby has measured great and has shown no signs of distress. I am not selfish for wanting to continue running or working out. I know my baby is a blessing and I would never intentionally cause her harm. So for those that are judging me...please stop. Me and my baby are healthy and I'll continue working out until it is no longer safe. Finding what works for you and your body is so important! It is great that you are able to keep being active and doing things that feel good for you. Keep it up! As a fitness professional I always tell everyone that they need to move how their body speaks to them and within the guidelines of their chosen health care provider. If you're good with running still, more power to you! 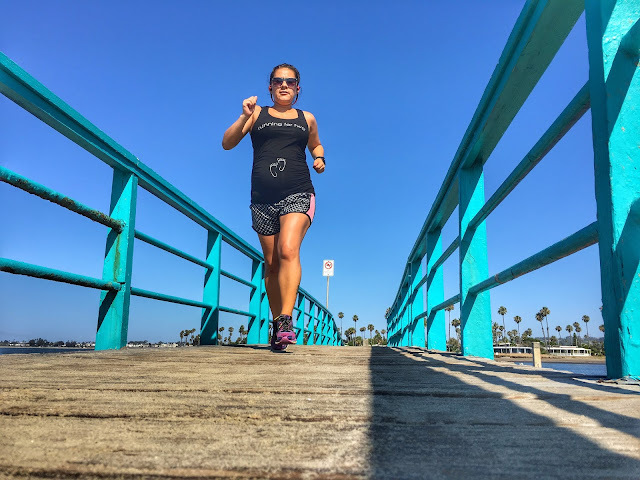 I had to give it up early with both of my children (one because of the heat and one because my body just couldn't take it), but always thought that I would be the girl out there running to the delivery room! Keep running! Thanks Erica! Can't wait to see you in a few weeks to celebrate your birthday!